Project title: "Conservation of land tortoises and their habitats in Eastern Eminska Mountain, through direct conservation measures, sustainable ecotourism development and popularization of the activities"
This project is focused on the necessity of protecting both tortoise species in Bulgaria -Spur-thighed (Testudo graeca) and Spur-tailed (Testudo hermanni), and their habitats. Despite their ubiquitous occurrence in the past, the populations of both species have become critically reduced recently. 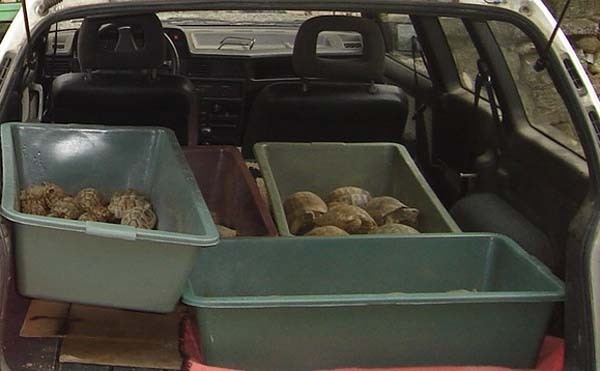 The threats to and limiting factors facing tortoise populations along the Black Sea Coast are mainly urbanization and intensive farming, deforestation along with the subsequent transformation to grasslands or to monoculture coniferous forests, wildfires, poaching and the illegal trade for human consumption, pets or souvenirs, etc. The development of huge areas for resort construction, sale of agricultural lands for hotel construction, and creation of golf courses and other sports facilities lead to the deterioration and fragmentation of costal habitats where tortoises remain abundant. Apart from habitat destruction, a significant factor for the decline in numbers along the coast is the direct annihilation of individuals with construction equipment and for human consumption. The low level of awareness and commitment within local communities and among tourists is also a major negative factor. One of the most appropriate decisions impacting the problems listed above is the promotion of sustainable development and publicity concerning the actions taken. As a response to the rising need of wide-ranging conservation measures involving local communities, a Visitor Centre and eco-trail were built. Through attracting visitors and offering additional tourist products and services, the Centre enhanced the incomes of local households, thus motivating the local community to care about biodiversity in the region and participate in local conservation actions. Nature conservation and educational initiatives are carried out annually at the Centre. We took emergency measures for direct tortoise rescue and habitat protection. 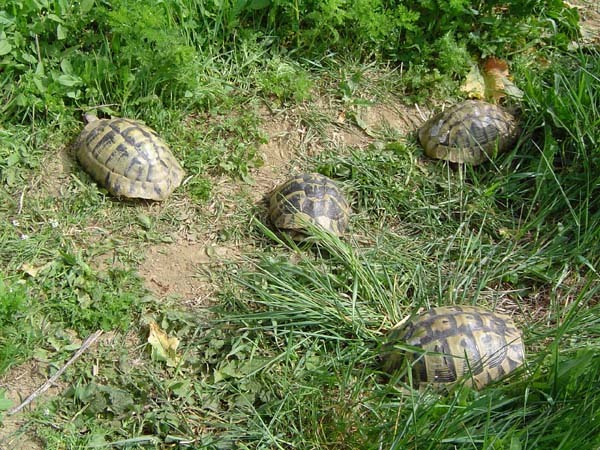 A territory near Irakli protected area was chosen for new home of the tortoises. It provides a unique chance to further monitor their adaptation success. Data collected is maintained via GIS technology. We have developed a GIS framework to include basic topographical and vegetational data. 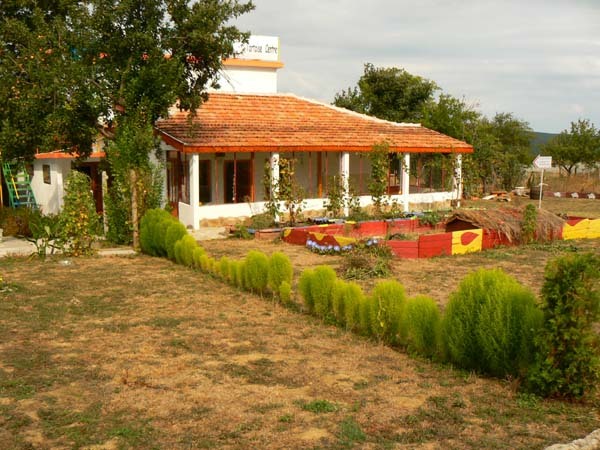 We have acquired a property in Banya village which contains a suitable building for the purposes of the Visitor Centre. A whole new section with exhibition hall, guest rooms and terraces was built. The exhibition room is equiped with audiovisual and interactive materials. The Visitor centre also have a specialized handling room for tortoise treatment, an office, and space for indoor maintenance of tortoises requiring isolation. The 2300 sq.m. of land was prepared for keeping the tortoises of the Centre, to include brand new sections for adults, hatchlings and juveniles as well as a quarantine enclosure for the newcomers. This project also contributed to the local community development through a number of new opportunities including rural tourism, bike tourism, horse-back riding, the production and sale of local food and crafts, etc. With this project GCF tried to apply the nature-friendly approach to ecotourism and environmental education development, thus contributing to preserving species of national and worldwide significance.